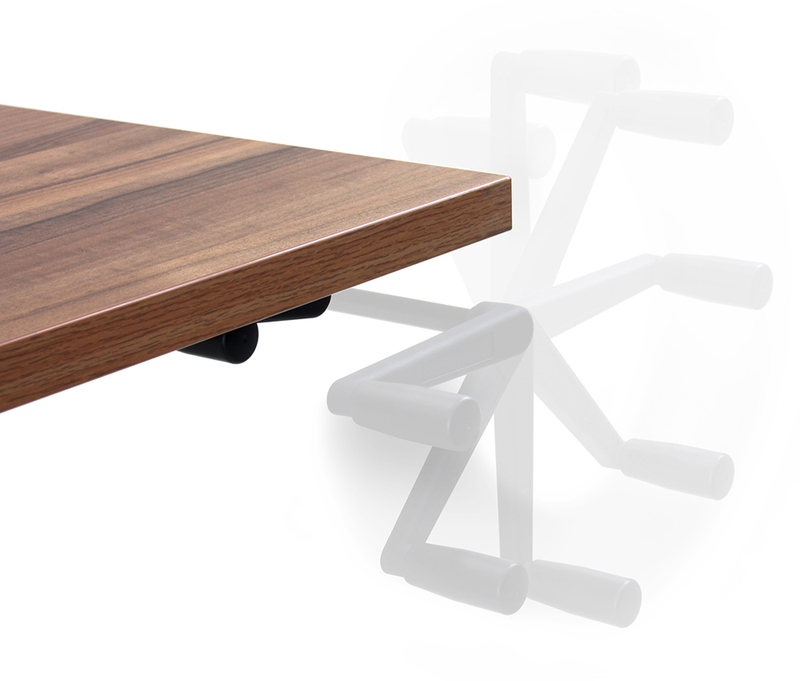 Category: Height Adjustable Desks. Tags: height adjustable desks, Oblique. 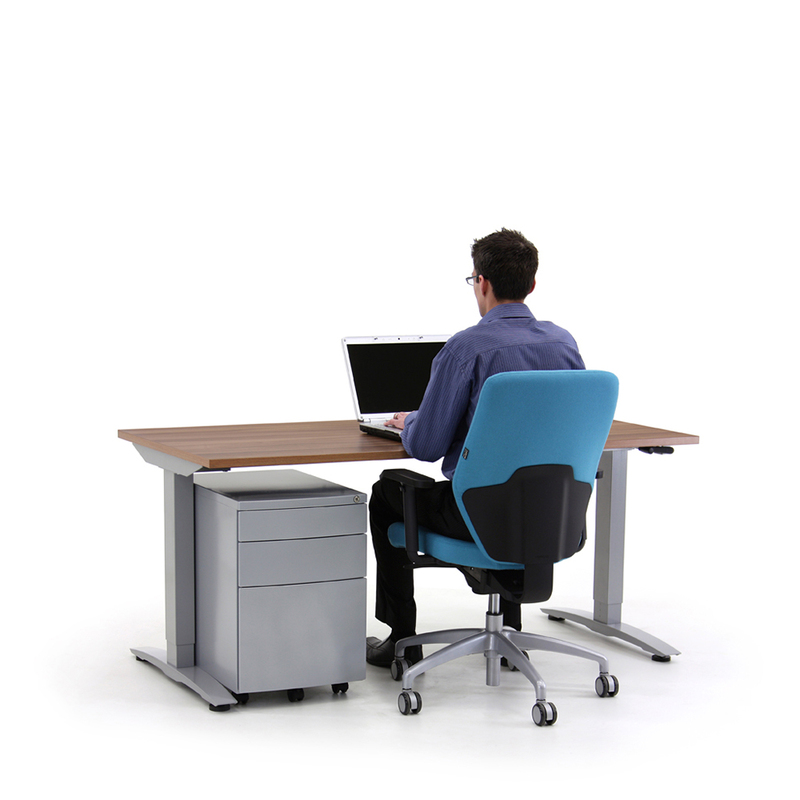 In an ever increasing health conscious work environment, we all operate within the confines of the real world; the rigours of the day to day. 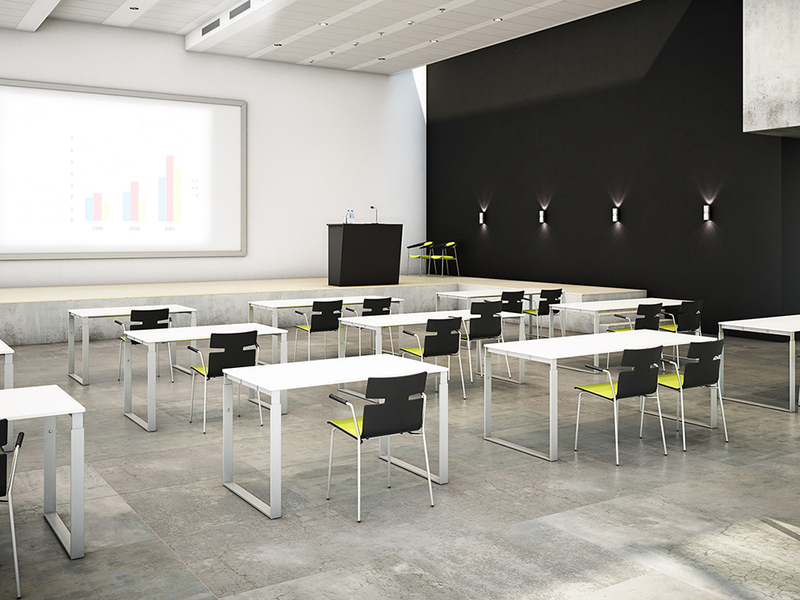 Move addresses the need for companies to promote a healthy, flexible and more productive workplace. 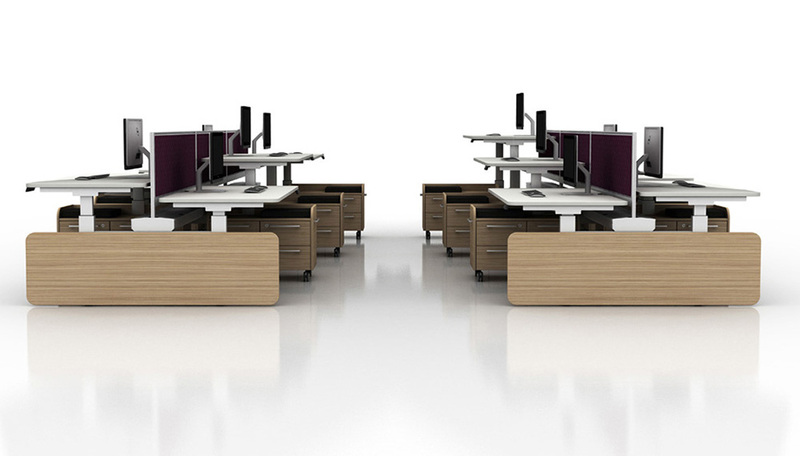 Our height adjustable desking enables workers to enjoy the health and posture benefits of being able to alter their working dynamics and thereby improve wellbeing. 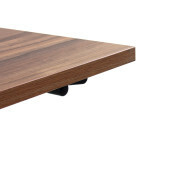 Move! 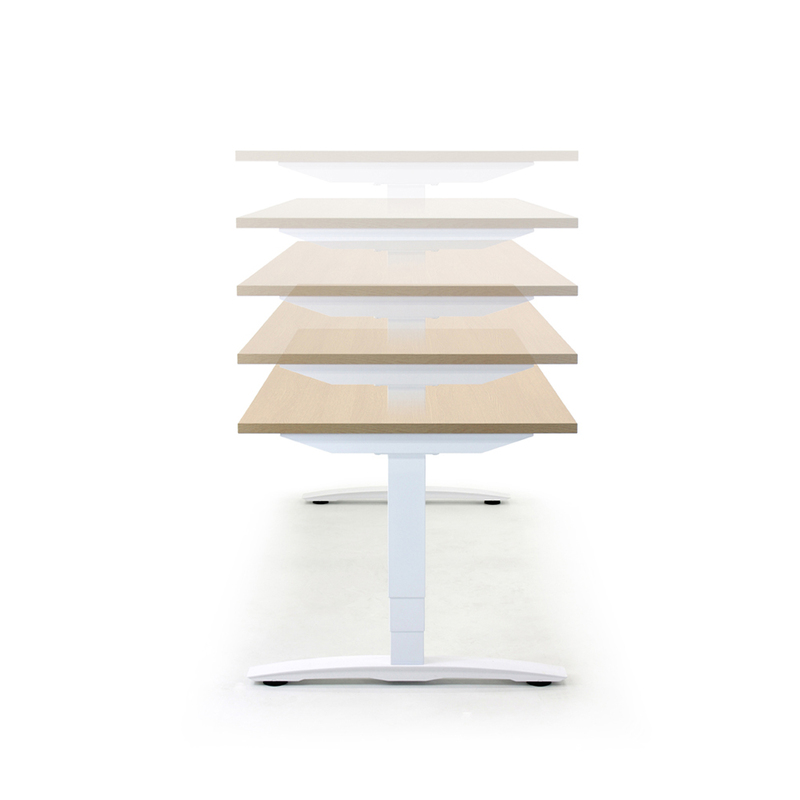 workstations are offered with either square or round corners to the work surfaces, with matching end cladding where specified. Various cable management options are available to suit your requirements. 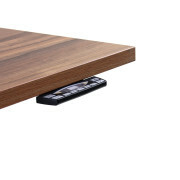 Move! 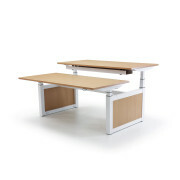 is available as a back-to-back configuration or as a freestanding desk. The product can specified with crank or electric lifting mechanisms, as well as a set-and-forget option. 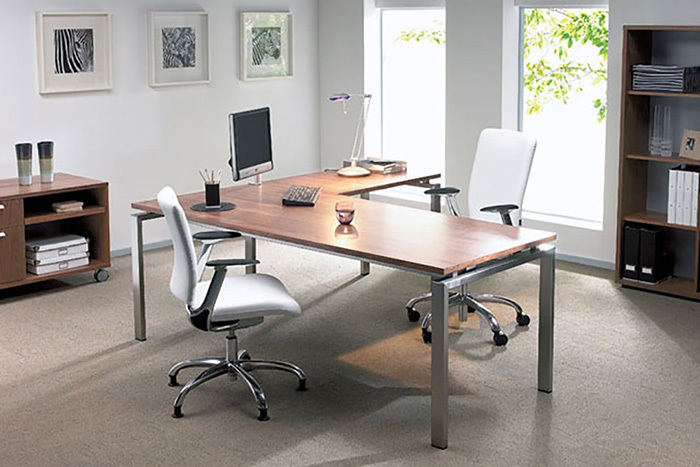 A variety of end-cladding options, and complimentary storage units enable a clean and clutter free office space. 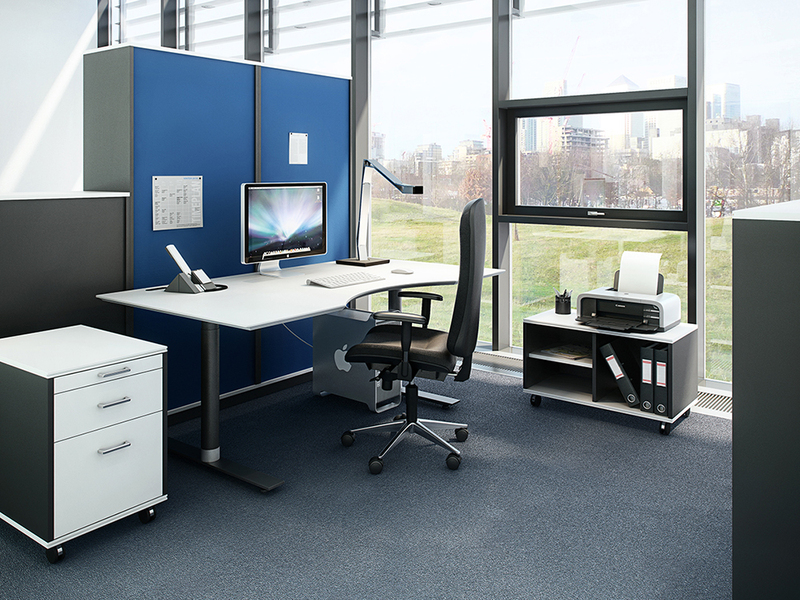 The Switch office desking range is available with both height adjustable and fixed frames. 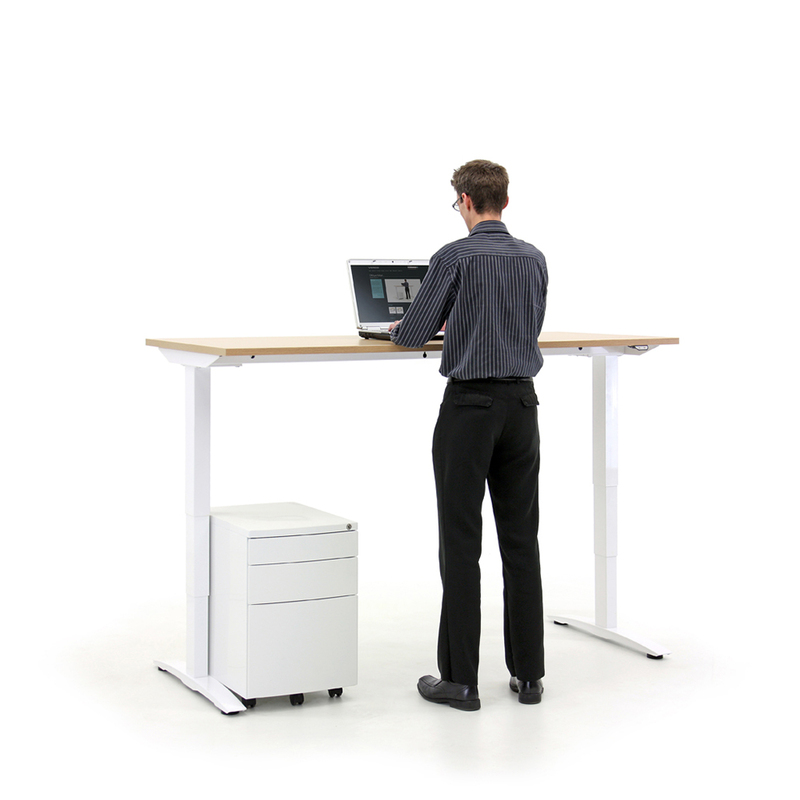 There are 4 base options – 1 fixed and 3 height adjustable which are static height, height settable and two options of electric height adjustable sit/stand desks. 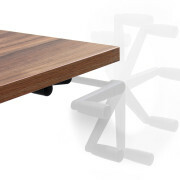 2 frame finishes; chrome tube and chrome feet or a combination of black tube and chrome feet. 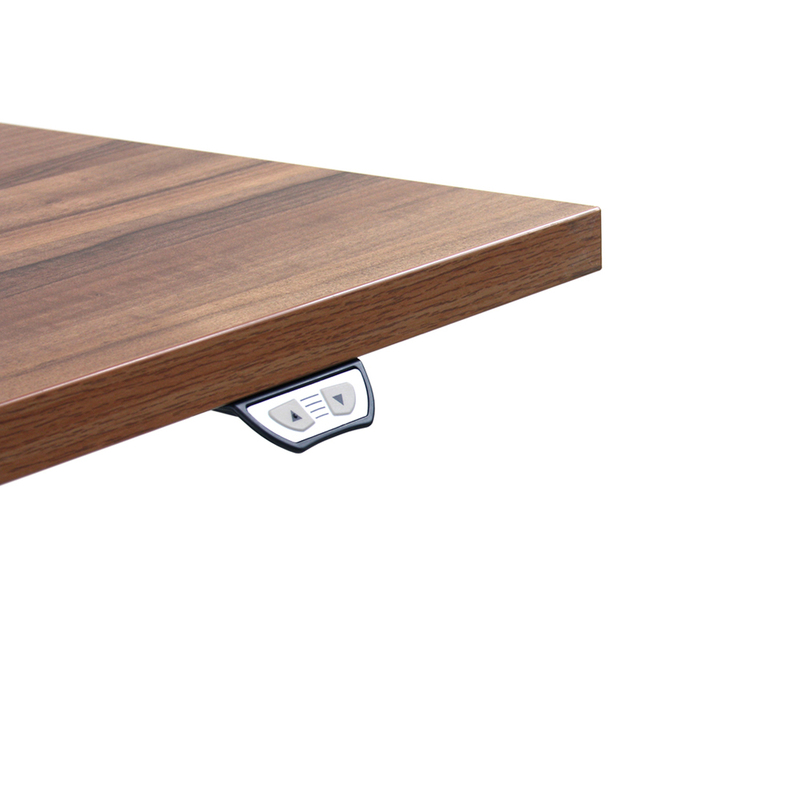 Switch desking is available in a wide variety of sizes and the 22 mm thick MDF tops are available in following finishes: Veneer: Beech, maple or walnut. 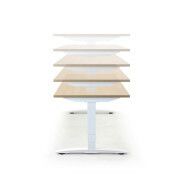 Laminates: Beech, maple, white, anthracite or light grey. Linoleum: Black or anthracite. The range includes cable trays and modesty panels which are available in all the desk top finishes plus further more frosted green or red acrylic. 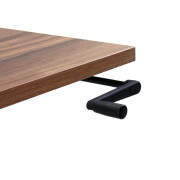 All desks have round 60 mm cable port(s). Switch desks are available with integral height adjustable returns. 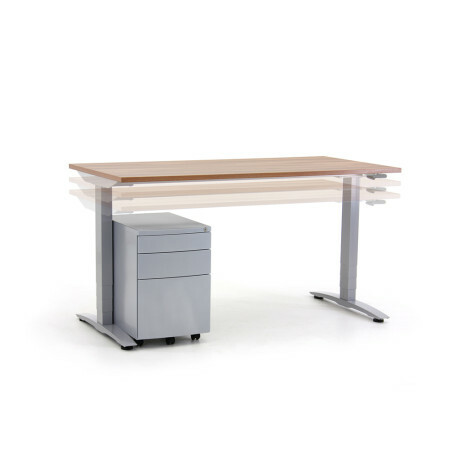 This range of desks is available in different configurations and in static, height settable and electric height adjustable versions with the frame in black, light grey or chrome. 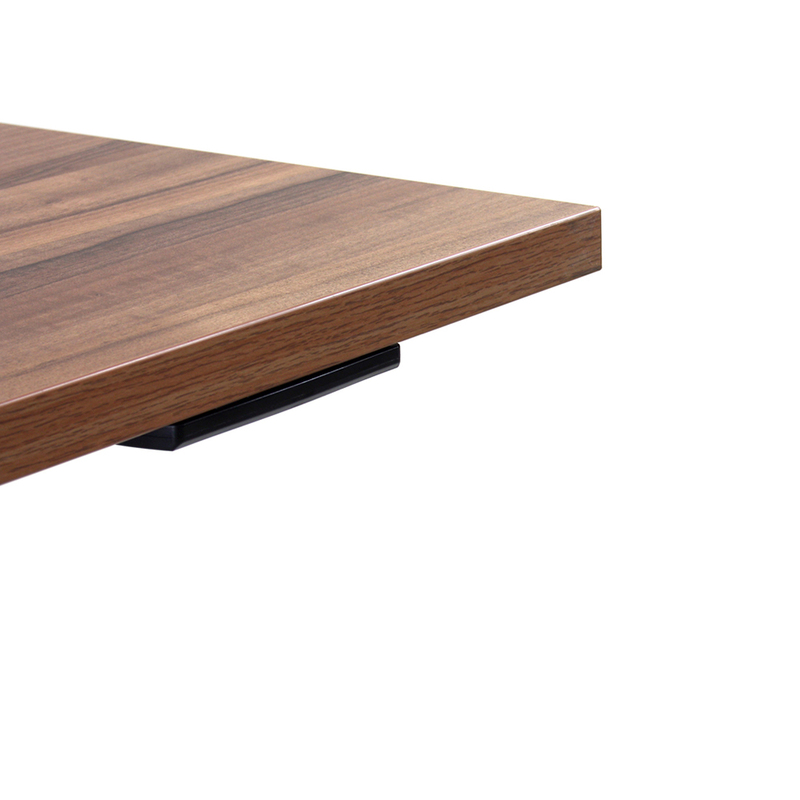 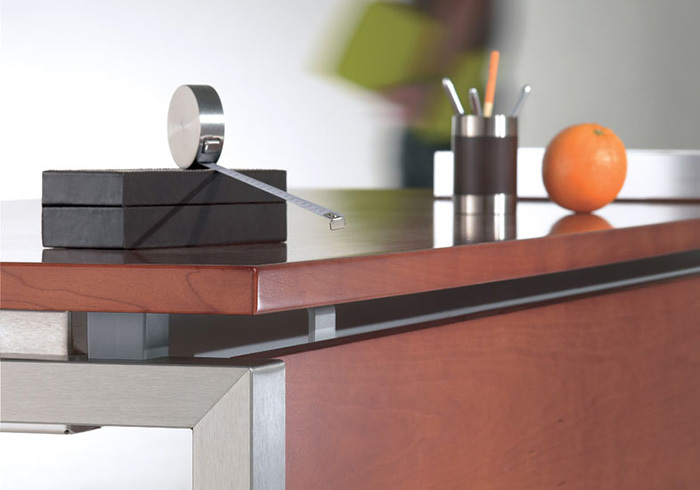 The desk top is available in many sizes and comes in different types of finishes.